In their work, private investigators apply various psychological methods in order to acquire sufficient information about their subjects of investigation. 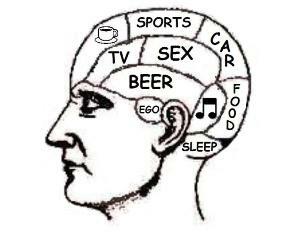 Psychology involves the study of a person’s mental functions, and how it influences their behavior. A private investigator with psychological knowledge has an upper hand because they are able to study and understand the behavior of their subject, and even predict their future behavior, making it possible to track and document their actions. They are also able to tell by observing their subjects’ reactions, those who are guilty and those who are innocent. People are predictable. If a private investigator is able to understand a person’s thought process and understand the motivations for their behavior, then they are almost half way in getting the full picture about their subject of investigation. A private investigator should be very sensitive to even the slightest of information and detail that comes from their subject of suspect. By analyzing this, he could makes deductions about their behavior and concludes on what possible future behavior that the person is likely to engage in. However, arriving at such conclusions about the behavior of a person is not always easy. That is why a private investigator must first of all try to find out what the motivation and reasons for the initial behavior could have been. For this reason, that the investigator should develop a keen mind where he is able to pay attention to every slight detail coming from the subject under investigation. Most private investigators are now finding the need to pursue a psychology related course for the very reason that it is difficult to understand people without first understanding how the human mind works. Forensic psychology, cognitive psychology, social psychology and behavioral psychology are among the areas that have become very popular among private investigators. Indeed, for most criminal offence investigators and police officers, it is almost next to impossible to do their work efficiently without some knowledge of psychology. The importance of applying psychology in investigations is to help the investigator to better understand their subject. If you can think of the possible motivations for behavior, then you can begin to know their subject psychologically without having to know them physically. Most offenders will continue to use the same pattern in their actions oblivious of the fact that these patterns can easily be studied and lead back to them. This is because even though most offenders think that that they have adequately concealed their actions, they fail to understand that the human mind is quite orderly and his thoughts coherent in such a manner that a pattern is always created that can point to a specific person’s way of doing things. A private investigator can factor in a person’s way of doing things in the past and the accompanying reasons for those actions, and will be able to determine their future actions. However, private investigators should never assume that every subject will play out a particular script just because a certain pattern has been identified. As much as the human mind is very predictable, it can also be very manipulative. Some investigation subjects are quite aware of the psychological background that private investigators possess, and will invest on how to outdo their wit. While some subjects will be slow, uncreative and easy to predict, others will be keen, quick and always mentally calculating their steps. They make it difficult for patterns to be developed that could help in drawing conclusions. These are the ones that pose the greatest challenge especially to investigators working as law enforcers. However through psychological knowledge, a private investigator should be able to devise investigation methods that are more superior to the vices being posed by their subject. This is the reason why every private investigator needs to be equipped with a certain degree of psychological knowledge.